StarWars.com has an interview with Chuck Wendig covering his latest novel Aftermath: Empire’s End. E. K. Johnston‘s Ahsoka novel will be getting a paperback release on October 3, 2017. No details on the dimensions but it will be 400 pages. 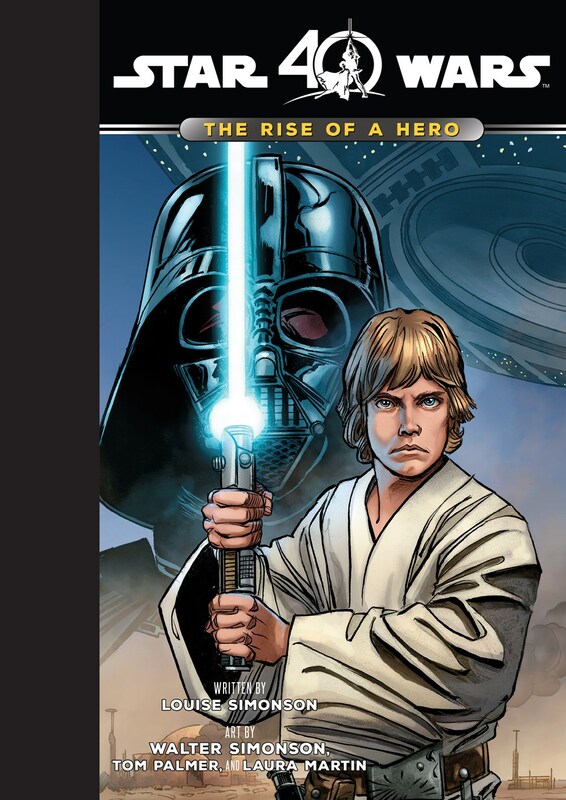 New details are also now available on Star Wars: The Rise of a Hero by Louise Simonsson, Walter Simonsson, Tom Palmer and Laura Martin. Christie Golden will be returning to Star Wars with Inferno Squad which will be out in July. The Del Rey 2017 Sampler will be available for fans at Emerald City Comic Con next week. There will also be a free digital version that everyone can get sometime in the Spring. CBR has a preview of Star Wars #29. Marvel has an interview with artist Marco Checchetto covering The Screaming Citadel and featuring some of his artwork. Rancho Obi-Wan will be returning to Star Wars Celebration and this time with a very special display. There will also be a 40th Anniversary panel to kick off Celebration. The 4th Annual Artists Day at Reel Art Collectibles is March 4 in Berwyn, IL. Star Wars guests include Dave Dorman. Star Wars Celebration Orlando is April 13 to 16, 2017 in Orlando, FL. Star Wars guests include Jeremy Bulloch, Rian Johnson, Felicity Jones, Kathleen Kennedy, Ian McDiarmid, and Timothy Zahn. Rogue One Blu-ray pre-orders are now up with a April 4 release date (March 24 for digital HD). StarWars.com has a list of the extra features. The latest Han Solo update confirms a May 25, 2018 release date. The latest episode of Rebels Recon is out for “Legacy of Mandalore” as well as the official episode guide. Jedi News has a handy roundup of all their New York Toy Fair Star Wars coverage all in one post. YakFace has an update on the Gamestop Black Series 6-inch R5-D4 and a look at the Target AT-ACT Driver. StarWars.com has an interview with Hasbro covering their new 40th Anniversary 6-inch Black Series line that’s coming this Spring. ANOVOS pre-orders are up for Jyn’s rain cape and the Hover Tank helmet.